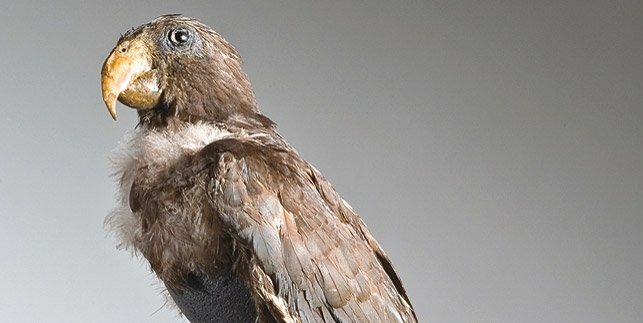 A project in collaboration with the Museum für Naturkunde - Leibniz-Institute for Evolution and Biodiversity Science, the Scientific collections at the Humboldt-Universität Berlin and the Hermann von Helmholtz Centre for Cultural Techniques. The »Mobile Objects« project is an interdisciplinary research network dedicated to the research of objects in the history of science and art and design. The works, economies and policies (institutional, national, global) that are intertwined with the genesis of cultural and scientific objects, whether as objects for collection or exhibition, and their mobilisation are examined using different case studies. At the same time, utilisation and exhibition scenarios are being developed for the Object Laboratory, which will open in 2019 as part of the Hermann von Helmholtz Centre for Cultural Techniques and which will serve as a link to the HU's Veterinary Anatomy Theatre (TA T). The Object Laboratory will function as a physical exhibition space, which will bind together the decentralised collections of the HU, the Museum für Naturkunde and the TA T by allowing reflection on objects and their presentation in the context of training courses and workshops. In connection with previous research concerning objects as mobile objects, the current phase of the project will see us examining the social, political, technical, epistemic and institutional conditions into which objects are historically and presently embedded. Our goal is to expand the work we have done so far by including some complimentary case studies and to transfer it into research through mobilisation. By doing this, new and surprising spacial configurations of objects should generate meanings which might be made useful for historical and theoretical matters. Above and beyond their disciplinary, historical and institutional cartography, the objects are to be combined into a single space and spectrum of critical approaches in order to test out new formats for research and communication. In this way, the Object Laboratory is simultaneously both a piece of research infrastructure as well as an object of research in itself. »Mobile Objects« is a project that will contribute to the theoretical, methodological and artistic conceptualisation of the Object Laboratory which will open in 2019. We are examining the possibilities for research that will enable the Object Laboratory to become a piece of infrastructure for and a liaison point between the decentralised collections and the exhibition space that is the Veterinary Anatomy Theatre. This phase of the project, which will run until 2018, will serve to produce draft versions and constructions of prototypes of example utilisation and exhibition scenarios. 1. The sub-project »Sensitive Things? On the Political History of Berlin's Natural History Collection« is located at the Museum für Naturkunde in Berlin, in collaboration with the scientific collections of Humboldt Universität. Using examples, it explores the political history of the Berlin collection. It aims at updating the debate on sensitive objects using natural history collections as well as contributing to a better understanding of natural history as a politicised science. 2. The sub-project »Artistic Object Research« is located at the Hermann von Helmholtz Centre for Cultural Techniques. The project aims to achieve a more active and self-reflexive form of artistic practice, which takes into account the history of science and the science of images. This practice will help bring to light new knowledge about objects in scientific collections, as well as about productive, operative settings for collaborations between the creative and the scientific spheres. Furthermore, the project also aims to conceptualise, draft, and experimentally utilise a rehearsal stage for interdisciplinary research where perspectives for the future Object Laboratory might be developed. 3. The sub-project »Hybrid Object Presentations« is located at the Hermann von Helmholtz Centre for Cultural Techniques. In close collaboration with the other two sub-projects, this project is developing three examples of exhibition scenarios that unite material and virtual objects from the collections of both the university and the Museum für Naturkunde (virtual physicality) whilst also making these objects more presentable and approachable. The aim of these scenarios is the preparation of conceptualisations, drafts and experimental utilisations of the future Object Laboratory. Results will be tested in new teaching and discussion formats and will be recorded in the form of publications.